EURUSD chart forces us to look at previous bearish prices. I’ve opened short position on local correction with stop on today’s high. 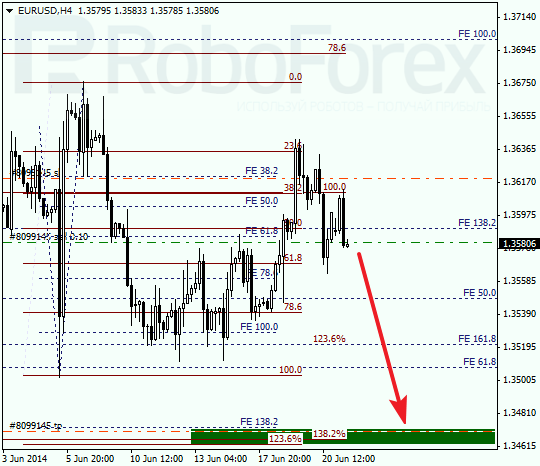 Target is considered to be at Fibo congestion at 1.3470 – 1.3465 area. 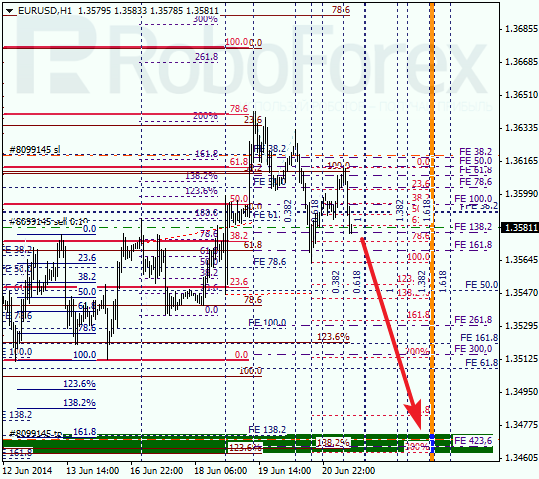 At H1 chart lower targets are confirmed by some local Fibo-levels. As timing zones indicate, those targets can be achieved until Tuesday. In case we see a pullback, more wide correction can follow. 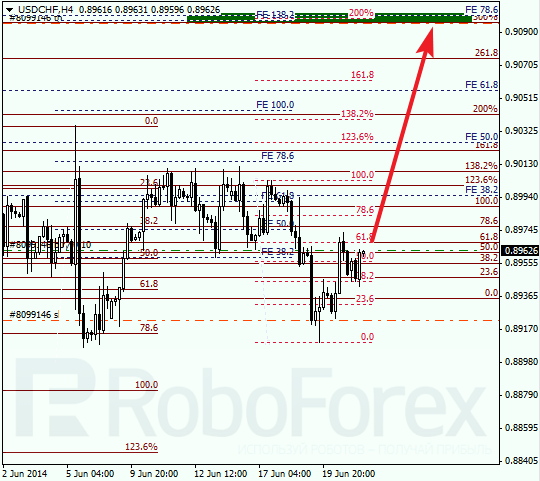 At H1 chart upper targets are supported by local Fibo-levels. 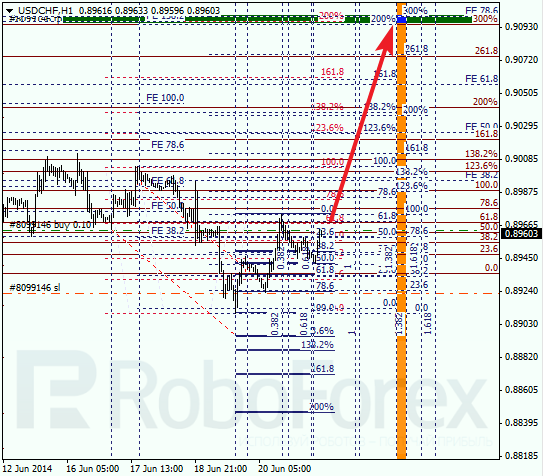 According to timing Fibo-zones, bullish target can be achieved until middle of the week. Further expectations will depend on behavior of this currency pair near those levels.